Have you ever gotten into a small airplane or helicopter with a pilot who didn't give a good safety briefing? Or maybe you were a second pilot, along for the ride and were left unsure of who would be handling which flying duties during the flight. For a seasoned pilot or passenger with experience in multiple aircraft types, the preflight briefing is probably not a very big deal. For others, though, the lack of a preflight briefing can incite confusion, discomfort, and fear, even among the most relaxed of passengers. And at the very least, the absence of a preflight briefing can leave both passengers and pilot-passengers who are otherwise comfortable in the aircraft confused about what their role might be on that particular flight. 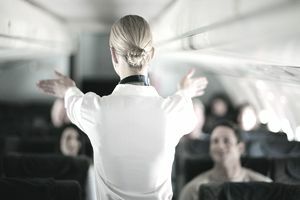 Some passengers are good at hiding their uncertainty about flying in a new airplane and will exude confidence regardless of the briefing and whether they're comfortable or not; others will show their anxiety physically and will speak up. Regardless, you want every passenger to be completely comfortable in your airplane from the beginning, which is why a passenger briefing is so important. While your briefing will change based on the comfort level and experience of your passengers, make sure you don't skip over it entirely. Everyone will feel better if a professional safety briefing is given. Associated federal aviation regulations for the particular flight, like seatbelt use, child restraints, lap children cell phone use, or a sterile cockpit rule. Anything interesting they might expect to see like landmarks or familiar places. Having a second pilot in the aircraft with you doesn't free you of the need to brief. While both of you might be familiar with the aircraft and the local area, when flying with another pilot it's especially important to brief each other on the division of responsibilities. Who will act as pilot in command? Will the pilot in command change if an emergency occurs? Will one pilot watch for traffic while the other monitors radios? Who will be on the controls during which portions of the flight? What happens if one of you disagrees with the other when it comes to making decisions about fuel stops, delays, or taking action to circumnavigate weather conditions? It's not uncommon to see pilots disagree about how bad the weather is, whether the winds are bad enough to land on a different runway, even where to park when you get to your destination. Determining all of those things beforehand will help the flight go smoothly so that your attention isn't diverted to these things during the flight. Ensure your pilot passenger is, in fact, familiar with the aircraft's emergency egress procedures, and be sure that there is no confusion about who is flying the airplane during normal or abnormal events. If one of you is a safety pilot while the other is practicing IFR approaches, for example, you need to be sure that you have a system for the positive exchange of controls and collision avoidance. One final thought: A thorough passenger brief is not only required by the FAA in certain instances, but it will set the tone for professionalism at the beginning of the flight and is especially important if there is a tendency for the operation to become casual, so although you might be tempted to forego the SAFETY briefing for the sake of time or because you don't want to make your pilot-passenger sit through it, think twice about doing it. Accomplishing a briefing will establish the atmosphere for the flight from the start, and you want it to be a safety-oriented one.